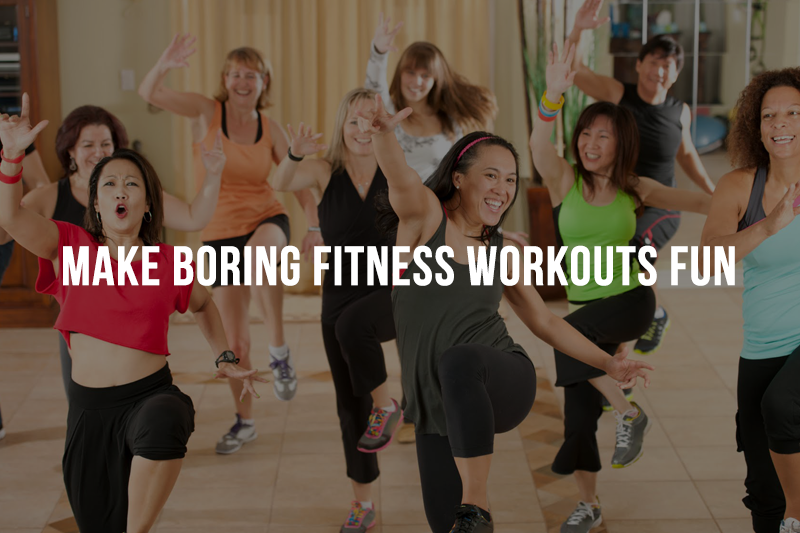 Tired of boring workout sessions? Workouts can be tedious if you’re following the old mundane routine. This eventually results in skipping them. We bring you ways to make exercises less intimidating and painful, and more fun and unmanned. This is the perfect formula to keep you motivated. Here are some ideas to keep your workout enjoyable. Hanging out with your best buddies is always fun, even if you are working out. They will keep you motivated. You can coordinate your clothes and choose fun workout classes together. Pump up your Mp3 player with some fast paced music. Shuffle your playlist frequently to keep it interesting. Don’t be afraid to mix it up. Here is a perfect workout playlist that we assembled for you 18 Workout Tracks To Pump You Up! Make some mini goals along the way and for each completed goal reward yourself. Gift yourself an awesome gym outfit or gadget. Whatever rewards you choose – make them healthy ones. This not only keeps you more active but there is also a motivation to improve your current fitness level. Working out with a group acts as an encouragement to push yourself and provides a fun environment to workout in. It gets monotonous going through the same routine over and over. Mix up your routine with some Zumba, pilates or dance. Make each day in the gym exciting and fun. No more running from workouts anymore! All these tips will definitely make your workouts easier and fun. Get everything ready and exercise daily. Don’t forget to connect with FITPASS on Facebook, Twitter, and Instagram.